Eliyahu Sills has been studying and performing music for over 20 years. In the early 1990s, he studied the upright bass in at The New School for Jazz and Contemporary Music in New York City. In the years that followed, Eliyahu fell in love with the flute and applied the musical theory that he learned through his jazz studies to teach himself this most ancient of instruments. After falling under the spell of the Sufi music of Turkey, he became a devoted student of both the nay, the reed flute of the Middle East, and the bansuri, the bamboo flute of India. Eliyahu's mastery of musical styles spans the globe. 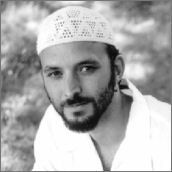 He has performed and recorded vibrant sacred music of the Middle East with Za'atar, West African folk music with the Palm Wine Boys, soul roots reggae with the Original Intentions, Latin-tinged jazz with Sparlha Swa, bluegrass-inspired beats with Ilene Adar, and revolutionary Hip-hop with Rebels Advocate.